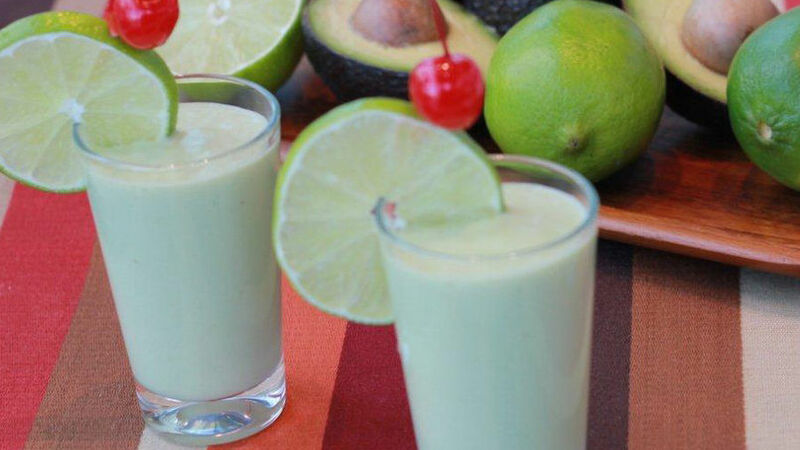 Place the avocado, the sweet coconut milk, the ice and the lime juice in the blender, combine well and add the coconut rum. If desired to have a non-alcoholic beverage do not add the rum. Serve the preparation in shooter glasses and decorate with lime slices and maraschino cherries. The flavor is like no other, if you thought piña or strawberry colada are delicious you will find that this avocado colada is brilliant and will be the talk of the party. Experimenting in the kitchen is a lot of fun, I invite you to try this recipe and see that avocados can be enjoyed in cocktails too! Please drink responsibly and do not drink and drive.